This entry was posted on March 28, 2017 by Nick. Chocolate is a fantastic gift for occasions throughout the year but is particularly perfect as we approach Easter. 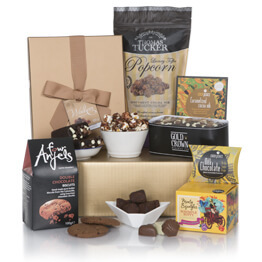 From indulgent chocolate hampers that are packed with delicious sweet treats to Hamper.com’s brand new Choccy Tree, discover our fantastic collection of chocolate hampers and gifts today. 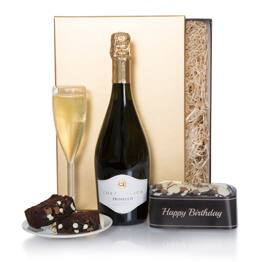 The Happy Birthday Chocolate Hamper is packed with tasty chocolate treats including cake, shortbread, drops and dark chocolate dipping sauce. Perfect for all ages, this hamper also features a bottle of Di Maria Prosecco, a perfect accompaniment to the delicious goodies on offer. 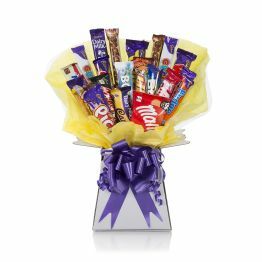 Perfect for the ultimate chocolate lover, the Chocolate Bouquet features eighteen different bars of chocolate. This gift is beautifully arranged to look like a bouquet of flowers although it tastes a lot better! 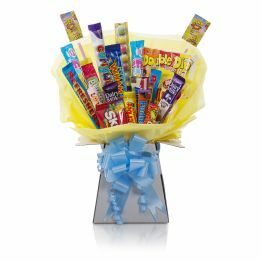 Whatever the occasion, the Chocolate Bouquet always goes down a treat! Cake, truffles, cookies, dipping sauce, bars, stirrer, the Chocolate Indulgence has everything! This hamper will be loved by people of all ages, especially if they have a sweet tooth, and is suitable for birthdays, Easter or just as a special treat. 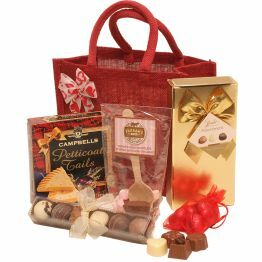 Order any of our luxury chocolate hampers, today and take advantage of free next day UK delivery. 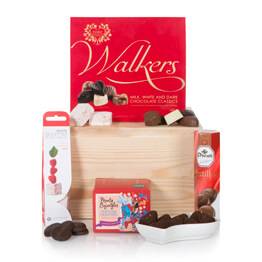 As the name suggests, the Chocaholic Gift Set is a fantastic present for anyone that loves all things chocolate! 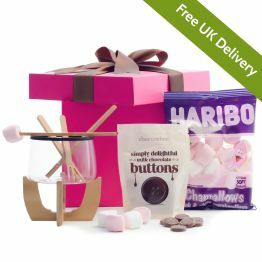 Featuring a unique chocolate fondue set, complete with a stand, bowl and skewers for dipping, this gift is perfect for getting the party started. Dip biscuits, marshmallows, fruit and more, the possibilities are endless! 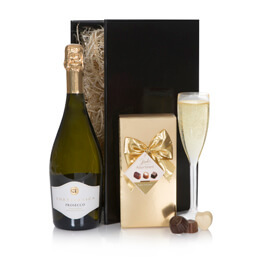 The Prosecco & Chocs Hamper is the ideal gift for a number of occasions thanks to its elegant presentation and delightful contents. 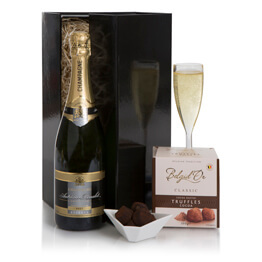 The fabulous bottle of Di Maria Prosecco is accompanied by deliciously indulgent assorted Belgian pralines. Perfect as a birthday gift, housewarming present or just to say thank you. Speak to an expert member of the Hamper.com team today if you have any questions regarding our fantastic range of luxury gift hampers. Contact us online and we will get back to you as soon as possible or call us today on 01235 888732.